CLAIM TO FAME: DIY Shimmering two-tone hair, creating a trendy at-home Ombre Effect. OUR THOUGHTS: Feria Wild Ombre was simple to use and the end result looked great, but it didn't last very long. Summer is fabulous, you can sit in the sun, hit the pool, but what you can't have is long lasting ombre colour. I'm not sure if it was the chlorine or the sun, but the lightened areas slowly turned orange. Using it in the fall or winter would be recommended because it is quite a remarkable product without the summer twisting things around. 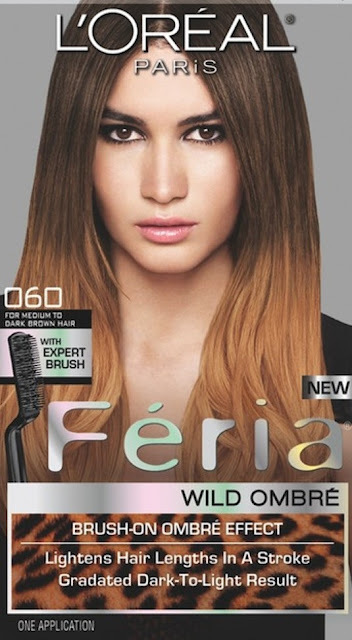 IS IT WORTH THE TRIP: Feria Wild Ombre is a great hair product, and it is the only DIY ombre available on the market, so if this is the look your going for, go for it, but try to protect it from the things summer has to offer! save the brush... (But really any small plastic brush, even a comb will do...) then get another non-ombre lightening kit and save about $6... :) Works well! Great idea! I always think about saving the little brushes that come with these kits but could never figure out what I would do with them afterwards!